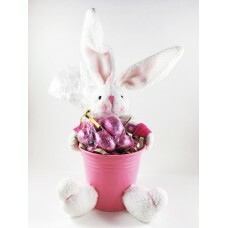 Thumper Rabbit with her bright pink bucket filled with milk chocolate mini eggs is looking for a new home. 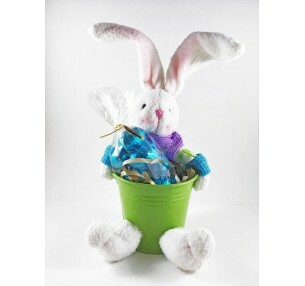 Whilst the Easter treats may not last long, Thumper promises to hang around to cheer you up for many years to come. ONLY 2 LEFT! 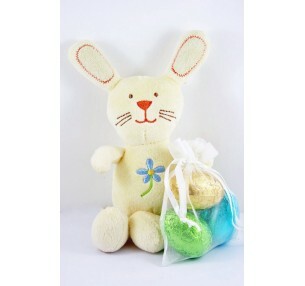 Plush Bunny with Egg Bag is a unique Easter gift to give to someone special.&nb..
Thumper Rabbit, with his bright green bucket filled with milk chocolate mini eggs, is looking for a ..